By now we’ve all heard that old adage—content is king. In the context of RFPs, RFIs, and security questionnaires, the higher quality your content…the more efficient your responses will be. Your RFP content library is really the heart and soul of your response process. Without one, your team lacks quick access to company information that fuels the chaotic operations of RFP projects. While having an answer library to store responses is tremendously important, so is how your organization tends to that content. Let’s make life better for your response team by exploring a few methods for fine-tuning the hub of your entire RFP process…the answer library. Why Clean Up Your RFP Content Library? Think of your RFP content library as your bedroom closet. Seasons change, so you have to swap out shorts for sweaters—clothes go out of style or they wear out. Thousands of Q&A pairs that aren’t culled periodically will affect your team in the long run. Instead of a hole in your favorite t-shirt, it’s a hole in your workflow. And folks, that’s a lot harder to fix. It never fails that panic and excitement come with every RFP, where all questions need to be answered as efficiently and effectively as possible. The added pressure, of course, lies in the outcome you are aiming to achieve of winning new business. When you’re under the gun, you want to have peace of mind and feel confident in the historical data resting in your content library. So, just like you clean out your closet at home…it’s time to take inventory of your RFP responses. Responding to RFPs involves a ton of content management. This is something many responders don’t realize, because they don’t relate the two. Content is the culprit, but a necessary one across different stages and departments of every modern organization. Oddly enough, there are many shared challenges proposal teams face that marketers already know. 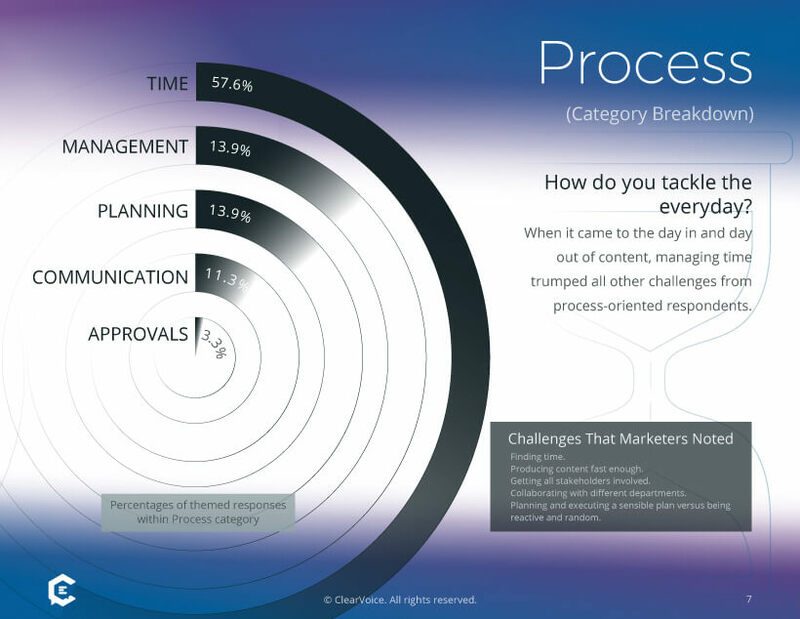 When 1,000 marketers were asked to reveal content challenges related to process, well over half said “time” was an issue. Yet, the remaining marketers were divided among management, planning, and communication with content. Sound familiar? It does to us too. Because lack of time is the result of an inefficient process. Managing an RFP content library well can dramatically save your team hours when an RFP is due. Ownership is worth noting here. Just as you would have someone owning all the content for marketing, the same rule applies to your RFP content. Make sure you identify the content manager for RFPs—whether that’s a proposal manager or someone in marketing. Small organizations often have one person who drives the RFP response process and takes full ownership of the content. Larger teams typically require multiple people to handle content management variables. Great. Now you know a bit about why you need to clean up your RFP content and who will run the show. A key thing to remember is that quality RFP responses win deals. Even the most captivating content will collect dust in your library if it’s buried under a mess of stale, outdated information. To avoid this all-too-common bottleneck in the RFP process, content audits are necessary for proposal management teams. 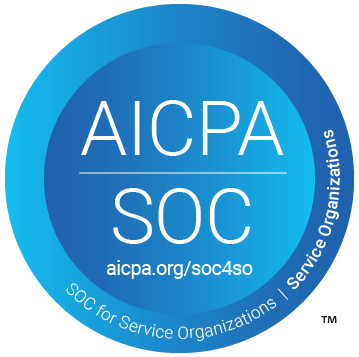 At a minimum, audit your content annually. Better yet would be to perform an audit twice a year. Best of all, we recommend quarterly audits. Really, it depends on bandwidth and how much content you have on-hand in your answer library. The point is…make sure you take the time to audit. We find the quarterly cadence works best for a lot of teams, because it’s not overkill for a busy team-of-one or a team of many. While it’s possible to organize RFP content with a well orchestrated system of spreadsheets, technology wins by a longshot when it comes to boosting productivity. RFP software allows you to centralize content for a stronger process from start to finish. Tags make finding responses a breeze, and they might be named: Company, Benefits, Security, etc. If you’re the content owner, check that these tags make sense to everyone on your team so they can quickly find the right content. This feature clarifies ownership to ensure content stays in top condition, such as performing regular content audits. Avoid assigning 200 questions to one person to monitor by divvying up responsibility to relevant owners across the organization. This report shows you the health of your RFP content library. Seeing top owners is helpful in understanding your team’s workload—and when you need to call in support. A timeline allows you to review cadence from last year and know what’s coming up in your pipeline. That way when you’re scheduling those important content audits, you know what’s on your plate. Your RFP content library deserves a little love from time to time. These are just a few ways to improve your RFP content library to have a successful year. As always, do what’s best at your organization.